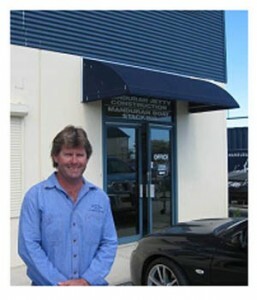 Mandurah Jetty Construction (MJC) has been in operation since 1982, under the ownership of Graeme Heal. From humble beginnings operating a single barge, Graeme has built the business to deliver maritime fabrication, construction and maintenance services across the State. MJC provides maritime services to the State and Local Governments, land development companies, and the resources and infrastructure sectors. We also conduct inspections of maritime assets on behalf of asset owners and insurance companies, as well as salvage operations. Our business is based on our maritime expertise and local knowledge, backed up with a focus on safety and quality, and high concern for the marine and coastal environments. We have consistently delivered projects within scope, cost and time requirements, and added value to our clients through our relationship focused approach. We have an in-house team that manages and supervises the delivery of all our services. Our management team is backed up by a support team, comprising an in-house bookkeeper and administration manager, and professional service firms, including accountants and design consultants. Our construction and maintenance crews bring extensive experience in fabrication, installation and maintenance of maritime assets across the State, as well as knowledge of local conditions, risks and constraints. All our team members have the required licences/tickets to conduct their specific tasks, and they pride themselves on completing the job safely, to specifications, and with a minimal environmental footprint.